Passion – Our customers and employees are the focus of our attention. They are what motivates us and the basis for all that has been accomplished by our company. Vision – We anticipate tomorrow’s needs and tomorrow’s market. This vision defines the direction in which our company will go, and it strengthens our product development and planning. 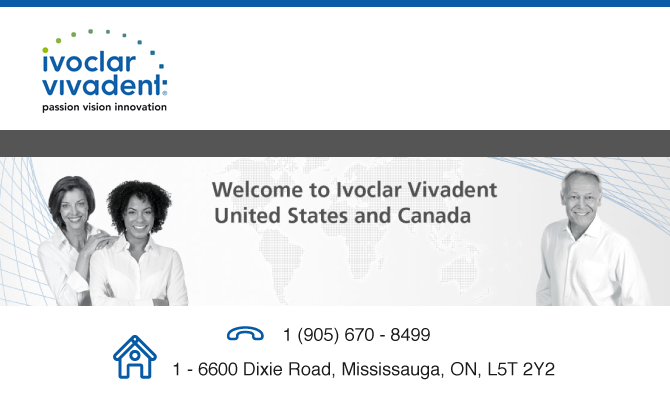 We invite you to learn more about us to better understand our vision of the dental market, experience the innovation that we put into our products and to feel the passion of our people for our products, our customers, our company and for quality, esthetic dentistry.